It is possible for teenagers to snag a high-paying job providing valuable services in their communities and beyond. The most popular and highest paying jobs that teens might be qualified for include babysitting, dog walking and jobs on the Internet. These jobs offer teenagers an opportunity to earn more than the minimum wage, determine their own work hours and gain work experience. 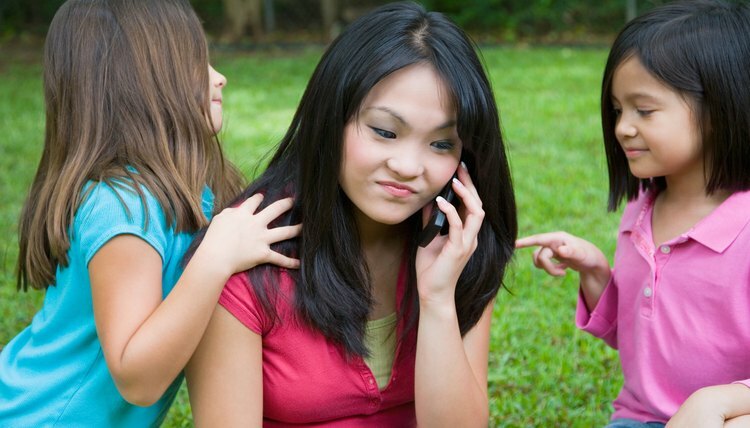 Parents hire responsible, experienced and trained teenagers to take care of their children. Teens can find babysitting work through online babysitter listings, referrals from friends and family, or by advertising their services. Babysitters should be trained in giving CPR and first aid. The American Red Cross offers a Babysitter’s Training Course to prepare teens to handle emergencies. Babysitters should also have experience taking care of children. Teenagers should prepare a resume with details on safety certifications and previous experience. References are a must, so provide at least two who can attest to your trustworthiness as a babysitter. 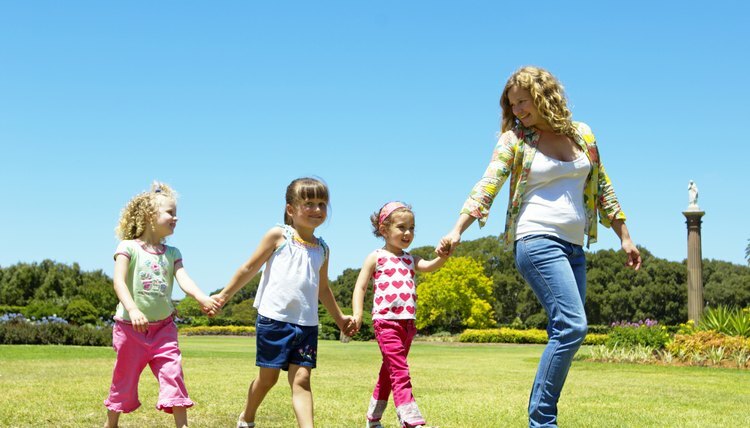 Most babysitters make between $8 and $12 per hour. Wages vary depending on the area, the number of children and scope of experience. 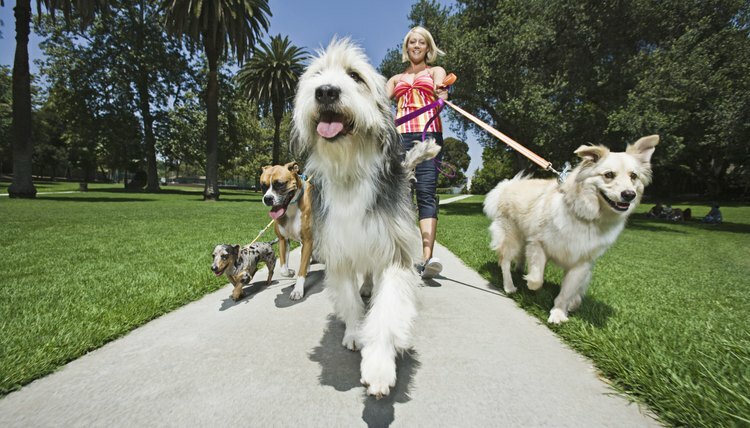 Pet owners hire dog walkers to walk, feed and groom their dog while they are away on vacation or at work. Teenagers who enjoy working with animals should be able to find work in their neighborhood or through a dog-walking service. Teens should be physically fit and know dog obedience techniques. Dog-walking services require employees to work a set number of hours each week. Dog walkers can earn up to $18 per visit for each dog they walk depending on the additional services they provide and on the area in which they work. High-paying Internet job opportunities for teenagers include writing articles and taking online surveys. Teens as young as 13-years-old can qualify for these jobs. Teens should obtain their parent’s permission, however, before signing up for any online work opportunity. Content and software review websites hire teenagers who can write and submit articles on a variety of topics. You must be a good writer, however. These websites require writers to submit writing samples and/or fill out a registration before submitting articles. Pay varies depending on the website traffic that each article generates or the number of clicks per ad. Some software review sites pay as much as $50 per approved review. Market research companies recruit teenagers to take product surveys. Teenagers sign up and receive payment or reward points for each completed survey. Teens need to sign up with several survey websites to maximize opportunities. Teens can make $3 to $20 per survey. They can also win cash prizes or merchandise. Teenagers who babysit and enjoy the experience might want to consider a career in child care or education. Dog walkers might find that they are well-suited for a future career as a professional dog trainer or veterinarian. Teens who like writing software reviews might be interested in pursuing a career in software development or technical writing. Teenagers who work are responsible for keeping a record of their earnings, paying income taxes and filing an income tax return each year. Robles, Victoria. "High Paying Jobs for Teenagers." , https://careertrend.com/about-5398909-high-paying-jobs-teenagers.html. 05 July 2017.